Though it is not known as a hockey hot bed, the city of St. Louis has produced a number of terrific NHL talents over the years. Never was this more apparent than when five prospects from the city were drafted in the first round of the 2016 NHL Draft. 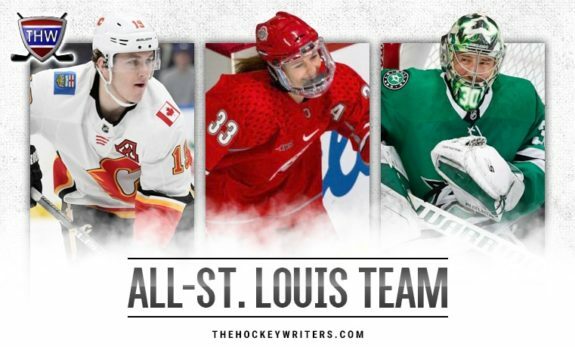 Now that those players have arrived in the big league, it’s a good time to consider who might make the All-St. Louis hockey team. It’s almost a complete group of active players with a few creative additions. Let’s take a look at the squad. On the first line, we’ve got three standouts from that 2016 draft, including two of the biggest stars on the team. 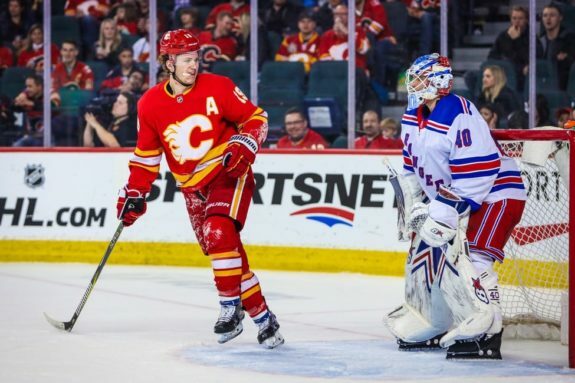 Though Matthew Tkachuk, unlike his brother, wasn’t technically born in St. Louis, he did spend most of his childhood and attend high school here. Like many on this list, he spent time at Chaminade College Preparatory School and in the St. Louis Blues minor ice hockey program. He is a widely-hated player and a nightmare to play against, just like his father, Keith, and he scoring over a point per game this season. Next up, Clayton Keller, another special young forward. He scored 23 goals for the Arizona Coyotes in his rookie season and finished third in voting for the Calder Trophy. He’s slowed a little in 2018-19, but it’s doubtless little more than a sophomore slump. Finally, there’s Luke Kunin. The team is desperate for right-handed shots, and Kunin has one, but the former 15th overall pick brings a lot more than that. Though he hasn’t yet earned everyday NHL minutes, he figures to be a central part of the rebuilding Minnesota Wild. Centering this line is the most experienced player on the list, Paul Stastny. Though he was born in Canada, he spent much of his childhood in St. Louis after his father, Peter, a Hockey Hall of Famer, finished his career and settled in the city. He also attended Chaminade. Stastny is going to finish his career with over 1,000 games, and he’s fast approaching his 700th point. 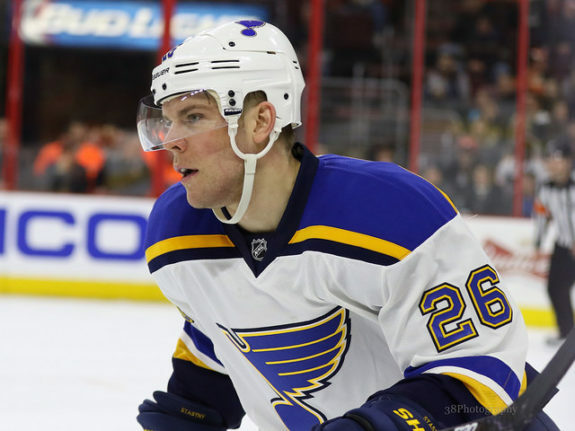 He also is one of the few players in the group who actually played for the St. Louis Blues, from 2014-2018. Though he likely won’t reach the heights his father did, he’s had one of the most distinguished careers of any St. Louis area player, and would be a critical piece of this team. Rounding out the line is Adam Lowry, another second-generation player. He was born in St. Louis when his father, Dave, was a part of the Blues. Now, he’s with the Winnipeg Jets. Though he’s a natural center and a left-handed shot, he’ll need to fill in on the right for this squad. He’s a solid young player, and when he finds his scoring touch, he’ll be a significant contributor for the Jets. On the third line, we have one of two active Blues on the list: Patrick Maroon. His return to St. Louis was met with much fanfare this summer, and though his season hasn’t gone as well as many hoped, he’s still contributing in many ways. He also has an inspiring story, working his way up from amateur hockey in his hometown to an NHL career. Related: St. Louis Blues: Can Patrick Maroon Save His Season? Centering Maroon’s line will be one of the least tested players on this list, Logan Brown. Though he’s played only a handful of games in the NHL, he’s got the promise (as the 11th overall pick in 2016) and the pedigree (as the son of former NHL defenseman Jeff Brown) to make it in the pros. On the right wing is the only Stanley Cup winner of the bunch, Brandon Bollig. Though he technically announced his retirement this past summer, we’re going to draft him into the squad anyway. He played most of his career as a grinder/enforcer, and though it stings that he won his Cup with the arch-rival Chicago Blackhawks, St. Louis pride overrules all. Finally, the fourth line. While Ryan MacInnis, a former second-round pick of the then-Phoenix Coyotes, has not yet made the NHL, he certainly has the pedigree. He’s the second son of a Hockey Hall of Fame member on this list. MacInnis is still working towards the NHL, playing this season with the Cleveland Monsters of the AHL. Trent Frederic, on the other hand, recently made his NHL debut. He was the last of the first round picks taken by St. Louis in 2016, and the last to get to the highest league, but that didn’t make his debut any less sweet. 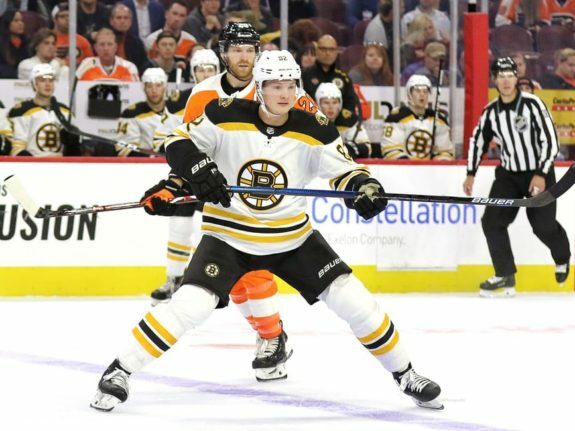 He’s played a number of games for the Boston Bruins in the second half of the season, and he’s become an emotional role player for them. Like MacInnis, Zach Pochiro has not made the NHL, but he’s still active in the minor leagues (most recently in the ECHL, where he’s been a point-per-game player). He was born in St. Louis and drafted by his hometown team in the fourth round in 2013. He would be a worthy fill-in on the fourth line. While the St. Louis area has tons of quality forwards currently playing, it is a little light on NHL defensemen. Never fear, because we filled out a roster. Leading us off is Chris Butler, the Chaminade alumnus. He logged his 400th career game earlier this season and has spent the last five seasons as the Blues’ perennial depth defender. He also serves as the captain of the San Antonio Rampage. Playing on Butler’s right will be Scott Mayfield, the highest drafted among these defenders. He was taken by the New York Islanders early in the second round in 2011 and is a product (partially) of Webster Groves High School. Wideman is a very solid defender, with a defensive point share of 7.4. He’s helped the Islanders immensely this season, and is the best player in this defense corps by a wide margin. We said that St. Louis was a little light on NHL defensemen, but that doesn’t mean there aren’t fine blueliners from the area, and one of the best is Jincy Dunne. She is a 21-year-old defender at Ohio State, where she was a top recruit and serves as captain of the team as well. 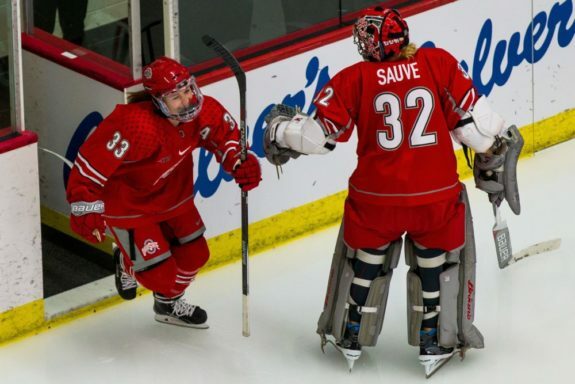 She’s played a lot at the national level, winning gold with the U18s in 2015, and was one of the final cuts at the Sochi Olympics the year before. Dunne deserves a spot on the All-St. Louis roster. At her side is Chris Wideman, a 180-plus game NHL veteran. Like others, he attended Chaminade. Though he gained some notoriety for his part in the Uber video controversy with the Senators and has bounced around the league a bit as a result, he’s still a solid NHL hand. Finally, we have Dakota Mermis and Luke Martin. Mermis is a representative from the Metro-East, having grown up in Alton, IL. He went undrafted, but his OHL career (he played over 100 games with the London Knights) earned him a shot with the Coyotes. He’s played about 10 NHL games over the past two seasons. Luke Martin is unproven, but he was a second round pick of the Carolina Hurricanes in 2017. He’s yet to sign a contract, and is currently playing with the University of Michigan, but the 20-year-old has a bright future. Not a lot of cities can claim that two goalies from their town have started games in the NHL this season, but St. Louis can. It’s a strength for this squad. 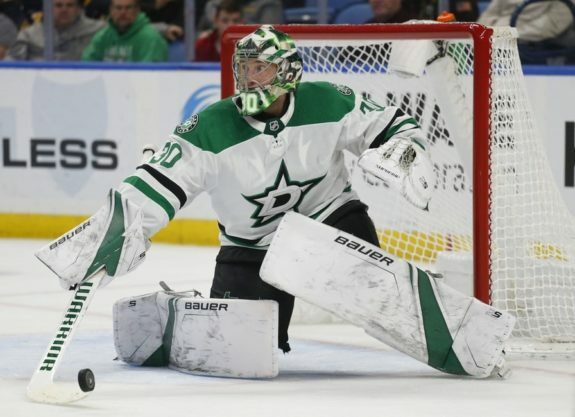 Taking the bulk of the starts will be Ben Bishop, whom Blues fans know as the “one that got away.” A contract stipulation forced the Blues into trading him, and he’s been every bit the goaltender many expected early in his career. He is also an alum of Chaminade, where he played on the same team as Stastny and Butler. 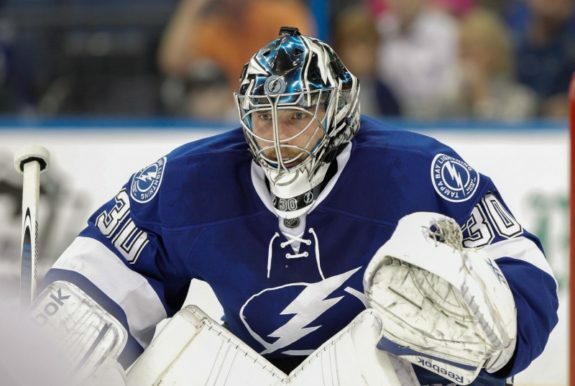 Bishop is in the midst of what may be his best season, which is saying a lot for a two-time Vezina Trophy finalist. He leads the league in save percentage, has a record of 24-14-2, and his goals saved above average, an advanced metric, is 28.07, an absurd mark. There won’t be a lot of pucks getting in the net with Bishop guarding the crease. He is in consideration, along with Stastny, the Tkachuks, and Clayton Keller, for the best active player from the city. Bishop, as good as he is, has played for a surprising number of teams. 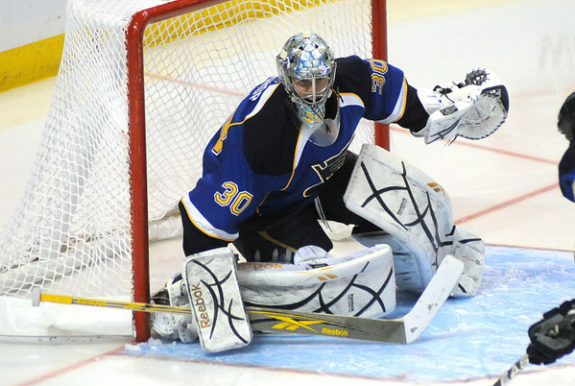 But fellow St. Louisan Mike McKenna is a journeyman through and through. 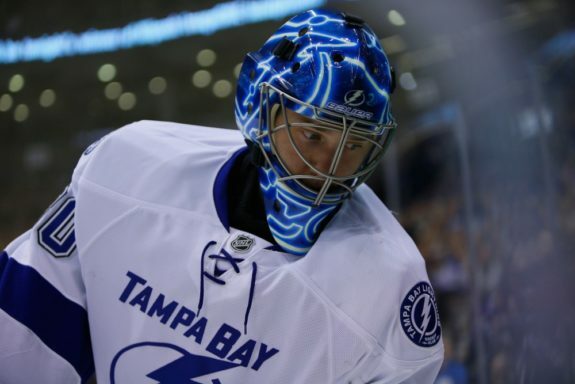 Despite only 35 career NHL starts to his credit, he’s taken the net for seven different NHL teams, which doesn’t even begin to count the number of organizations he’s played for. His wife, Rachel, notably opened up about the struggle after he was traded earlier this season. Hi, everyone. I know I’ve done a fair amount of complaining lately, but I’m truly grateful for the career and opportunity Mike has had these 14 years. Any chance he has to be in the NHL is a special and amazing one and I’m fully aware of how incredible it all is. McKenna’s wife, Rachel, posted a thread detailing the challenges of living the journeyman lifestyle. It’s worth a read. 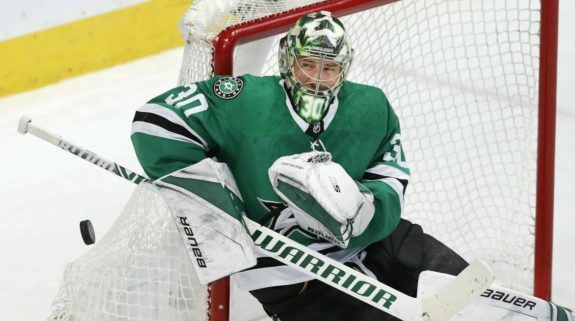 McKenna as you might expect, does not have jaw-dropping NHL numbers, but a lot of cities would be lucky to have a goalie of his quality as their team’s starter. St. Louis has him as a backup, and he’ll serve perfectly in that role. 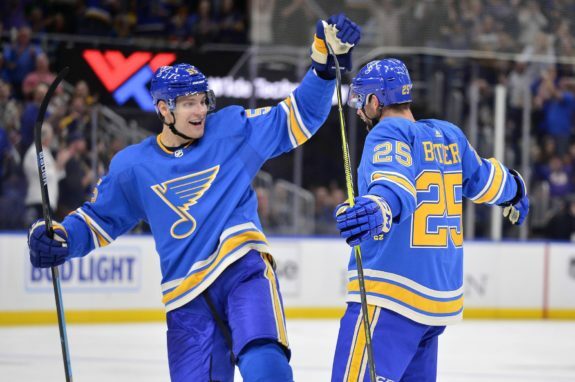 Though firmly entrenched in what many would call “flyover country”, hopefully, this look at the best active players from the St. Louis area will open eyes to the hotbed of hockey that is the Gateway to the West. Now, we want to hear about your city! The gauntlet is thrown down for fellow THW contributors and readers to give us the best players from your town. Think your squad can top the team from St. Louis? Well let’s drop the puck and find out.